Let’s return to last week’s theme of China as the “marginal source of global Credit and liquidity” for a runaway global Bubble that has been pierced at the periphery. It is difficult for my thoughts not to return the analogy of the matador’s sword initially piercing bull flesh. It amounts to the beginning of the end. It could also very well mark the point of maximum bull madness and pandemonium. From my analytical perspective, the spring of 2007 marked the piercing of the mortgage finance Bubble. The blowup of funds leveraged in subprime mortgage exposure marked a momentous inflection point in terms of speculator deleveraging, the flow of finance to the mortgage sector and a tightening of mortgage finance. Federal Reserve measures to hold Bubble bursting at bay pushed the crisis out several quarters into late-2008. Highly unsettled (crazy) markets saw a major bond rally – especially in agency debt and MBS – that extended the period of high-risk mortgage lending. Fed loosening in the midst of a highly unstable Bubble Dynamic also spurred a speculative frenzy in commodities, with crude oil surging to $145. It all exacerbated fragility. The world has changed profoundly since 2007. For one, total Chinese bank assets have inflated from about $7.0 TN to over $30 TN. Annual growth in Chinese system Credit growth (“total social financing”) expanded from about $900 billion in 2007 to 2015’s $2.35 TN. Momentous changes have rewritten central banking doctrine. Not even seriously contemplated in 2007, QE (ECB and BOJ) will add close to another $2.0 TN to global liquidity in 2016. Central banks will also push short-term rates (and bond yields!) further into negative territory this year, a policy course that would have seemed totally absurd in 2007. Prior to 2008, no one would have dared imagine today’s “whatever it takes” central banking. It’s an incredible confluence. Building on it’s historic $1.0 TN during Q1, China could surpass $3.0 TN of 2016 system Credit growth. For perspective, Chinese Credit growth will likely expand at least 50% more than in the U.S. this year. Such unprecedented Credit growth in the face of a stock market collapse, sinking corporate profits and rapidly intensifying Credit deterioration is simply astounding. It’s definitely a testament to the brute power of “whatever it takes” Chinese state-directed finance and investment. Combining Chinese communist leadership with “whatever it takes” global central bankers (with no constraints on their “money” printing operations) creates a backdrop for financial folly unrivaled in history. Recall that Chinese authorities had previously tightened mortgage Credit in a belated attempt to rein in Credit excess and rapidly inflating housing (apartment) prices. Then to counter a weakening economy and incipient Credit problems, officials loosened policy in 2014. The upshot was a surge of liquidity (and leverage) into stock market speculation. After trading just above 2,000 in July 2014, the Shanghai Composite ballooned to almost 5,200 by June 2015 (Friday’s close 2,959). The bursting Chinese stock market Bubble spurred “whatever it takes” measures out of Beijing that must leave Draghi, Kuroda and Yellen with deep senses of envy. And with perceptions fully solidified that Chinese officials have no tolerance for financial or economic crisis, “money” and speculative leverage returned with a vengeance in key housing markets and within commodities. The global backdrop is unique. The late-twenties period does, however, offer some germane similarities. Incredible technological advancement, financial innovation, “globalization” and policy experimentation nurtured the extraordinary “Roaring Twenties” Bubble period (commencing with the first World War). Later in the twenties, the myriad affects of loose financial conditions – certainly including over-investment, mal-investment and income equality – became more pronounced. There was intensifying downward pressure on commodities and good prices, along with corporate profits. The late Bubble period was characterized by an unusual backdrop that promoted financial speculation over productive investment. And as much as the Fed hoped to rein in speculative excess while providing a boost to the flagging real economy, cautious measures to dampened speculation were ineffective. Meanwhile, efforts to bolters the real economy were successful in stoking securities markets Bubbles and speculative leveraging. Money was literally flooding into New York to play the best game in town (and the world). The extreme measures China adopted to counter its stock market crash and unfolding crisis have now incited precarious speculative Bubbles in commodities and housing. This creates extraordinary uncertainties for China and the world. A deepening Credit crisis (see “China Bubble Watch”) would seem to ensure the usual cautious official measures to counter speculative excesses. So the world has of late been contemplating booming China: ongoing loose financial conditions with 2016 Credit growth in the neighborhood of $3.0 TN – providing extraordinary fuel for a rather destabilizing speculative blow-off. We need to deepen our discussion of China as “marginal source of Credit and liquidity.” A three Trillion (in U.S. dollars) Chinese Credit onslaught would bolster a vulnerable Chinese economy, in the process providing a much needed boost to EM economies and the global economy in general. Resurgent Chinese housing and commodities Bubble would be expected to stoke the real economy and finance more generally – if unpredictably. Chinese officials have adopted various capital control measures over recent months. These seem to ensure that a less-than-normal amount of newly created Chinese liquidity will make its way out into the global system. At the same time, Chinese Credit and Bubble Dynamics have already begun to have major indirect impacts on global market liquidity. Sure enough, Friday trading saw the yen sink 2.13%, “the most in 17 months.” When trade unwinds/blowups proliferate, no trade is safe. Interestingly, the energy and commodities surge even began to garner the attention of global bond markets. Nothing dramatic thus far, yet bonds around the world are priced for deflation. Throughout equities and fixed income, the “safety trade” is likely the most Crowded trade of all. It’s also worth mentioning that the VIX closed the week at 13.20, down from last week’s 13.62 to near one-year lows (not far from five-year lows). Considering the general mayhem operating below the market’s surface, a 13 VIX is incredible. Then again, the VIX has been right in the thick of the disorderly unwind of hedges and bearish bets. Besides, it’s at best an indication of the short-term probability of stock market dislocation. And for now markets are betting that “whatever it takes” Chinese officials and global central bankers have things under control. And that’s what makes the current environment so dangerous. From my perspective, things continue to unfold in the worst-case scenario. Beijing has lost control of what has evolved into complex Credit, market and economic systems. Global central bankers have lost control of speculative market dynamics – not to mention inflation dynamics. And it’s not as if current predicaments are inconspicuous. So investors, speculators and investment managers around the world are forced to plug their noses and play the game. Returning back to China: The “marginal source of global Credit and liquidity” is short-term supportive of global risk markets. Yet its Credit system is self-destructing – and doing so rather conspicuously. If any other country employed a similar policy mix the world would be sprinting from that currency. As some of you might know, I am a big Bowie fan. He lives on in his music and his passing has left us all with less. David Bowie was in touch with both himself and the world like few others, and was able to express feelings on subjects through his art in profound fashion, an increasingly rare commodity these days in an authoritarian society that punishes free thinking. Of course today's dystopian world order was seen by few back in the 90's when he released I'm Afraid of Americans, where in his own words the song was 'merely sardonic' in observing a MacDonald's going up in previously untouched (by corporate America) Java, because this 'strangles the indigenous culture and narrows expression of life'. And in his more recent work, it's not difficult to tell he had become horrified at what the Americanized world had developed into in crossing the millennium, which must have been torture for someone who loved life so well as his pulse grew weaker. Good-bye David - we will miss you. Fast-forward to today, and you can't help but think that David's warning in the above was not naïve, but ahead of its time - Orwellian in nature. Because if you were not afraid of Americans back in the 90's, and more specifically corporate America with all its cronies and corruption, you damn well should be today. Both America and the world are controlled by these characters, and you should be deathly afraid of them because that's what they deal in - death for profits. And while such a sentiment could have been reserved for the colonies up until more recently, they have brought home the exploitation now in the food, culture, and economy - and the people are waking up to this fact. Nowhere is this more overtly evident than in the rapidly changing political scene in the States, where feelings of being 'united' are becoming increasingly strained as the pathology of insanity is revealed. But it's not just corporate America that one should be afraid of - you can safely include the embedded fascists in Washington as well - America's political duopoly - better known as the two-party system. These are the people who would have you be afraid of Donald Trump, exclaiming he's not the benevolent dictator he puts himself out as, but a well disguised fascist nut bar, just like them (they don't mention that part). They would have you believe Ted Cruz is better (because he's an undeclared status quo lapdog), however when one looks under the hood he's far worse. And while it's true all the candidates are hammers looking for nails, at the same time it's not hard to conclude if some version of America is to survive what's coming, change is necessary, and neither of the established parties will be able to facilitate such an outcome - especially if the Presidency is stolen from the popular vote. And while it's true they did it to Gore with no repercussion, people were eating well back then. Now, one third of America is on food stamps and they are getting tired of living the two-tiered system - the haves and have-nots - it's Animal Farm. It's Orwell to a 'T' in America today - it's the lying pigs (and their dogs) set against the naïve barnyard animals now awakening from their sleepy stupor due to empty bellies and increasingly authoritarian rule. And now that they are awake, they are becoming increasingly angry. They are angry at the top 1%, Wall Street bankers, and mainstream media. In other words, put in Orwellian speak - they are angry at the pigs (oligarchs) and their dogs (bureaucrats) - and they are going to do something about it at the polls this time around. And again, they don't care about what establishment cronies have to say anymore because they are known liars. The political establishment's response so far has been quite predictable given who you are dealing with (psychopaths, scoundrels, and worse) - screw you - the status quo is here to stay - however process will continue to unfold no matter. The barnyard animals (what sociopath Hillary thinks of you) are mad as hell and aren't going to take it anymore because they are sick and tired of being treated as such, so if the election is stolen from the popular vote, the disenfranchised will simply continue to turn the screws until they get their way. Soft revolution will turn hard - and before you know it America will resemble some version of Mad Max - beyond salvation. The zombies will come to life and devour those not yet infected. Because again - people are disenfranchised, hungry, and angry. And they do crazy things when that happens. So you should be afraid of what's coming no matter who wins the election, because whether it's Trump or Sanders, or an establishment candidate, the true state of affairs in America (and the rest of the world) will be exposed because it's too late - America is an increasingly distant memory. If you want to know how things could look here in a year or two, take a peak at Brazil. They are South America's largest economy and exemplar of 'democracy' and 'capitalism'. Unfortunately corruption has run amuck in Brazil, however it's no better in America - don't kid yourself. The status quo naybobs would have you believe Brazilians are savages; just more of the world's great unwashed. But what's the difference between goings on in any other banana republic and Hillary's pardon? Remember we are talking about Neocon Hillary here - completely unqualified in the trust department. But hopefully we won't have to worry about that soon. Apparently sociopath Hillary has been caught in yet another snafu exactly at the wrong time - right in front of the New York primary. So let's hope Sanders can turn this into political capital because as warned by Nassim Taleb, America can survive Sanders or Trump in the White House, but "no Hillary". But don't tell that to all the other psychopath's trying to 'get ahead' out there by any means - they love her as a role model. The majority of them are the bureaucrats behind the scenes who are riding her (big government's) coat tails. Only thing is, like Hillary, these bozos are getting older and outnumbered by the young and disenfranchised now. So with a little luck and a newfound determination on their part, this election will turn out for the good - because the status quo has got to go. Certainly if the record performance of gold in the first quarter this year is any indication, investors are thinking radical change in America's political scene is an increasing likelihood. And again, this likelihood could grow considerably in coming days if Sanders does well in New York, which would give the DNC and superdelegates (democrat establishment) a real scare - that's for sure. Why? That's the message in the chart above, measuring the premium investors are willing to pay for safety in the precious metals sector today. As you can see, it's been collapsing and is oversold on an immediate basis, however in late cycle speculative manias like the one we are in now, such considerations often don't matter depending on how speculators are betting. (More on this below.) That being said, in looking at a daily HUI / FNV Ratio plot attached here, what we see is a complex a - b - c corrective sequence tracing out, which although ultimately being wildly bullish given it appears high level consolidations are apparently the norm across the sector, still, it points to recent lows being tested, at a minimum. Again, techincals still look wildly bullish across the sector, likely hinging on election expectations, $, and how all the players react to the stimuli. If they do stop their negative behavior at some point soon enough (stop buying more calls than puts), it's possible some well positioned juniors could actually return to their full previous glory. What's more, even at present prices that appear to be well off the lows, one would still essentially be buying at the bottom, as can be seen directly above with Golden Star Resources (GSS) set against the larger caps (and basket) represented by the Gold Miners Index (GDM). While we can only guess about this right now, if not today, the Fed is scheduled to meet again at month's end, so stay tune in this regard, especially with what is supposed to be a terrible earnings season dead ahead. You will also remember from last week, April, being the Fibonacci third month of the sector wide rally that started in January, should see another month of gains, suggestive the broads should sputter this month. What's more, and circling back up to bring the juniors and options players back into the discussion, with this coming Friday being options expiry (a shortened cycle), put / call ratios should work to bring prices back down no matter what the Fed says today, possibly after further gains early in the week. In terms of the Gold Bugs Index (HUI) for example, it wouldn't be surprising to see it vex the large round number at 200, then retrace back down to the 175 area, with the 50-day moving average (MA) rising to meet prices, followed by a move back up into month end. Again however, this is only a guess. As such, maybe today was another set-up by the Fed to smack gold and the shares down this week in knowing they can get officially dovish again very soon, only days away essentially (April 27 - 28). Again, this all guess work, however with open interest put / call ratios on precious metal shares ETF's non-supportive of further price gains (the ratio on GDX should rise towards unity for this to be the case), one thing is for sure, this is not a good time to be bold going into options expiry on Friday. The machines will want to take prices back down to equilibrium pricing in a hurry off the right headline. So all those people who bought precious metals on Friday off the sensationalistic story on Zero Hedge touting an 'emergency Fed rate meeting' on Monday would be hoodwinked again. I don't know of this will be the case as I am writing this Sunday, however this why one should always question the source of sensationalism - especially in American media. But perhaps the biggest reason you should be afraid of Americans is because the crazies in Washington who are used to getting their way won't like it one bit once it becomes visible they are losing the economic (cold) war. (i.e. against China, Russia, and themselves.) You will know there's big trouble in The Banana Republic of America when the $ starts falling off a cliff, heading towards the c-wave target (30ish) denoted in Figure 1. This is when all the derivatives will implode, and society will regress back out of the Twilight Zone - a place better known as reality. This would of course be a dangerous condition for Neocon Hillary and her buddies, where if they were still in control, nuclear war would not be out of the question if the gloves come off. (i.e. to deflect responsibility away from themselves.) This is why (and whom) you should be afraid of Americans - the crazies in charge. 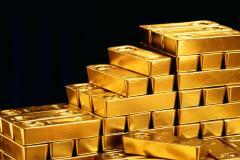 Good investing is possible in precious metals once again. THESE days, in the thick of the American presidential primaries, it’s easy to see how the 50 states continue to drive the political system. But increasingly, that’s all they drive — socially and economically, America is reorganizing itself around regional infrastructure lines and metropolitan clusters that ignore state and even national borders. The problem is, the political system hasn’t caught up. To an extent, America is already headed toward a metropolis-first arrangement. The states aren’t about to go away, but economically and socially, the country is drifting toward looser metropolitan and regional formations, anchored by the great cities and urban archipelagos that already lead global economic circuits. This reshuffling has profound economic consequences. America is increasingly divided not between red states and blue states, but between connected hubs and disconnected backwaters. Bruce Katz of the Brookings Institution has pointed out that of America’s 350 major metro areas, the cities with more than three million people have rebounded far better from the financial crisis. Meanwhile, smaller cities like Dayton, Ohio, already floundering, have been falling further behind, as have countless disconnected small towns across the country. The problem is that while the economic reality goes one way, the 50-state model means that federal and state resources are concentrated in a state capital — often a small, isolated city itself — and allocated with little sense of the larger whole. Not only does this keep back our largest cities, but smaller American cities are increasingly cut off from the national agenda, destined to become low-cost immigrant and retirement colonies, or simply to be abandoned. Congress was once a world leader in regional planning. The Louisiana Purchase, the Pacific Railroad Act (which financed railway expansion from Iowa to San Francisco with government bonds) and the Interstate System of highways are all examples of the federal government’s thinking about economic development at continental scale. The Tennessee Valley Authority was an agent of post-Depression infrastructure renewal, job creation and industrial modernization cutting across six states. What is needed, in some ways, is a return to this more flexible, broader way of thinking. Already, efforts to coordinate metropolitan and regional planning and investment are underway, whether they are quasi-government entities like the Western High Speed Rail Alliance, which aims to link Phoenix, Denver and Salt Lake City with next-generation trains, or industry-driven groups like CG/LA Inc., which promotes public-private investment in a new national infrastructure blueprint. Ironically, even some states are warming to the idea: Regional cooperation and planning is a top item at the National Governors Association. These are the groups that are pushing America deeper into the global economy by rethinking how the national economy functions. But they have to go it alone, because Congress still thinks in terms of states. America needs a new map. Similar shifts can be found around the world. Despite millenniums of cultivated cultural and linguistic provinces, China is transcending its traditional internal boundaries to become an empire of 26 megacity clusters with populations of up to 100 million each, centered around hubs such as Beijing, Shanghai, Guangzhou and Chongqing-Chengdu. Over time these clusters, whose borders fluctuate based on population and economic growth, will be the cores around which the central government allocates subsidies, designs supply chains and builds connections to the rest of the world. Western countries are following suit. As of 2015, Italy’s most important political players are no longer its dozens of laconic provinces, but 14 “Metropolitan Cities,” like Rome, Turin, Milan and Florence, each of which has been legislatively merged with its surrounding municipalities into larger and more economically viable subregions. Britain is also in the midst of an internal reorganization, with the government of Prime Minister David Cameron driving investment toward a new corridor stretching from Leeds to Liverpool known as the “Northern Powerhouse” that can become an additional economic anchor beyond London and Scotland. What would this approach look like in America? It would start by focusing not on state lines but on existing lines of infrastructure, supply chains and telecommunications, routes that stay remarkably true to the borders of the emergent super-regions, and are most robust within the new urban archipelagos. Connectivity isn’t just about infrastructure; it’s about strategy. It’s not just about more roads, rail lines and telecommunications — as well as manufacturing plants and data centers — but where those are placed. Getting that right is critical to getting the most out of public investment. But too often, decisions about infrastructure investment are made at the state (or even county) level, and end at the state border. Consider the Gulf Coast arc from Houston to Tampa, an area growing on the back of the shale energy industry and agricultural exports. The ports of Corpus Christi and Tampa both received federal foreign trade zone status in the early 1980s and have been raising bridges and expanding terminals to prepare for larger ships coming through the Panama Canal — and their modernization also means accelerated export of food, oil and cars from America’s heartland. Their fates are more intertwined than Tampa’s is with Tallahassee or Corpus Christi’s is with Austin, even though they’re in the same state — and yet building out their infrastructure depends largely on the political whims of their respective state capitals. As a result, the region’s ports have built redundant facilities rather than strengthening those best suited to capitalize on new economic connections. Nor is it just about federal policy. States need to work across borders, too. For example, instead of waging a 1980s Asian-style race to the bottom to attract low-wage auto jobs at Nissan, Honda or Toyota plants, Tennessee and Kentucky should join forces to become an advanced manufacturing hub for the global auto industry, with better cross-border infrastructure. They may end up with fewer plants, but they would be more competitive ones, especially if they could coordinate research and development through the states’ public and private universities. TO make these things happen requires thinking beyond states. Washington currently provides minimal support for regional economic efforts and strategies; it needs to go much further, even at the risk of upsetting established federal-state political balances. A national infrastructure bank, if it ever gets off the ground, should have as part of its charter an obligation to ignore state lines when weighing projects to support. Consider how parts of the Rust Belt could benefit from this approach. A Midwestern high-speed rail network that ran from Southern Illinois to Southern Michigan would not just link wealthy investment hubs like Louisville, Ky., and Columbus, Ohio; by tying in high-unemployment cities like Dayton, it would make it easier for workers to commute to where the jobs are. Such networks would just as easily help poor and rural areas, like Appalachia. Upgraded transportation corridors between New York, Washington and Atlanta could finally lift Appalachia’s isolated and stagnant towns stretching from New York to Alabama by facilitating investment in farms and vineyards, food processing and eco-tourism. States will continue to have an important political and regulatory function to fill. But the next president has to move beyond platitudes and implement a serious policy of leveraging new infrastructure investment from home and abroad and backing the shift toward a new urban political economy built around transportation engineering, alternative energy, digital technology and other advanced sectors. The 21st century will not be a competition over territory, but over connectivity — and only connecting American cities will enable the United States to win the tug of war over global trade volumes, investment flows and supply chains. More than America’s military grand strategy, such an economic master plan would determine if America remained the world’s leading superpower. Correction: April 15, 2016 An earlier version of this article said that Congress provided support for the construction of the Erie Canal. Rather, the canal was funded by New York State. NEW DELHI – As the world’s financial leaders gather in Washington, DC, for the annual spring meeting of the International Monetary Fund, their hopes – and fears – center on China. After all, China is the one country that might be able to jump-start the sputtering global economy’s recovery; and yet its own economic growth is based on a foundation that is increasingly showing signs of strain. The dilemma is that both Chinese failure and success carry risks for the world economy. A failure scenario would be unique in post-World War II history. Because China’s economy is so large, the consequences would reverberate worldwide. But, unlike in 2008, when the US dollar appreciated, allowing emerging markets to revive quickly, the renminbi would likely depreciate should China’s economy experience a serious downturn, spreading deflation far and wide. Other currencies might depreciate as well, some as a result of deliberate policy. Consequently, a China failure scenario could resemble the events of the 1930s, characterized by competitive devaluation and plummeting real economic activity. But what if China succeeds in its current transition to a consumption-based economic model? When the Chinese current-account surplus reached 10% of GDP in 2007, saving exceeded 50% of GDP and investment surpassed 40% of GDP. These numbers seemed far too high to be dynamically efficient or welfare enhancing. As a result, a consensus rapidly emerged: Saving and investment should be reduced and brought into better balance. Investment should be reined in by imposing greater financial discipline on wayward public enterprises, while the social safety net should be strengthened, so that households would not have to save so much to meet the costs of having children and growing old. Fast forward a decade, and what do we see? The government has built safety nets, and the current-account surplus has receded, exactly as hoped. Last year, the surplus amounted to less than 3% of GDP, a fraction of its 2007 level. But this hardly validates the theory. About half of the reduction in the current-account surplus has occurred because investment has actually increased as a share of GDP. Meanwhile, there has been some decline in national saving, by perhaps 3.5 percentage points of GDP compared to 2007 (according to IMF estimates, as official data end in 2013). But this reduction is quite modest compared to the 15-percentage-point increase that occurred during 2000-2007. Even more striking, all of this modest reduction in saving seems to have come from the corporate sector; household saving is roughly the same, relative to GDP, as it was in 2007. In other words, what went up during the boom has failed to come down. This is a real puzzle, and resolving it is important not only for China’s future, but for that of the world. There are two broad possibilities. It could be that the theory is basically correct, but needs more time to show results. In that case, as long as China’s rulers continue to strengthen social safety nets, the decline in saving could match the envisaged decline in investment, keeping the current-account surplus low. But what happens if the theory is wrong, or incomplete? For example, the beneficial effects of safety nets on saving may have been overestimated. Or those effects may be offset by the negative effects of population aging. Over the next 15 years, the Chinese population aged 60 and above will increase by two-thirds. These aging workers might now be saving as much as they possibly can, to build up a financial cushion for impending retirement. If some version of this scenario is realized, the household saving rate may continue to decline only gradually. In the meantime, the government would be closing unprofitable plants, which might boost corporate saving. As a result, overall saving could remain high, even as investment falls sharply, causing the current-account surplus to surge again. This would not be a pleasant prospect for the world economy. As China slowed, so would global growth, and the remaining demand would be redistributed toward China, aggravating other countries’ already-severe shortfalls. This would be very different from the previous episode of global imbalances when large Chinese current-account surpluses were at least offset to some extent by rapid Chinese growth. In short, whereas a hard economic landing for China could spur global deflation, avoiding that outcome could mean the return of global imbalances. These are the stark possibilities that leaders need to ponder as they gather gloomily at the IMF in Washington. The conditions for improvement are there. The job market has continued to strengthen—there were 2.8 million more people working last month than in the same month a year ago, according to the Labor Department—bolstering incomes. That is part of why more people are finally striking out, or striking out on their own again. Goldman Sachs estimates the number of newly formed households eclipsed 1 million last year, marking the first time that has happened since 2006. What’s more, the firm estimates 1.2 million new households will be added in each of the next four years. 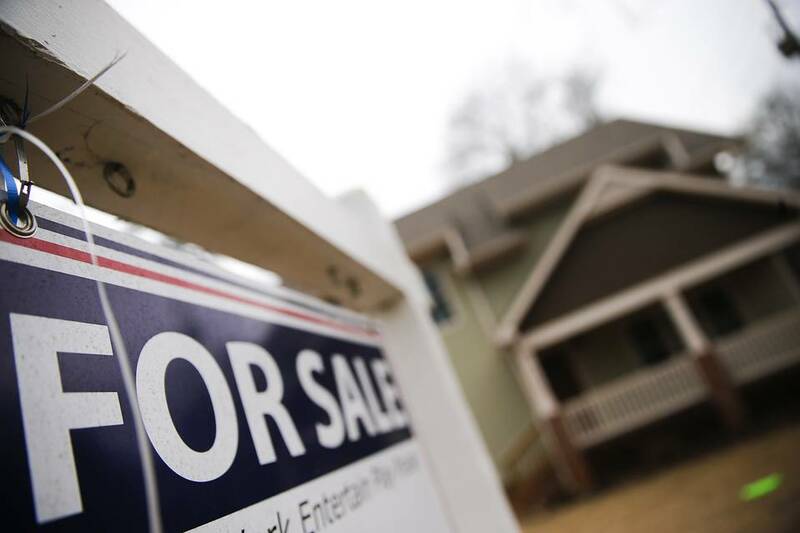 Improved finances, low rates and an increased willingness among banks may entice more households currently renting to buy, and more homeowners to trade up. Indeed, there are signs of health. The most recent monthly readings on new home sales and pending sales of existing homes, were encouraging. There has been an increase in the number of people applying for a mortgage. The Mortgage Bankers Association last week said its index of mortgage applications for purchasing a home was up 24% from a year earlier. The one wrinkle in the housing-revival story is that warm weather over the winter may have made things look better than they actually are. Because housing data are adjusted to account for the big seasonal swings the sector is subject to—typically around 40% of annual homes sales are inked in the four-month period that starts in March—if only a little activity gets drawn into the dead winter months, it can have a pronounced effect. All of which is positive for those associated with housing, from banks to builders to brokers and retailers. Full-fledged recovery for housing is still a while away. But after a long time of near dormancy, it looks like it is starting to stir. WITH numerous governments already announcing probes into the “Panama papers” and others preparing to do so, Mossack Fonseca, the law firm from which the hoard of documents about offshore companies was leaked, will be receiving lots of inquiries in the coming months. Until now, getting information on clients of law firms in Panama has been about as common as ice-skating on the Canal. But sleuths may soon find it a lot easier, thanks to a court ruling in, of all places, Las Vegas. In short, the little-noticed ruling is the key that unlocks the door for investigators everywhere. Faced with the power of American subpoenas, Mossack’s head office will find it much harder to stonewall foreign requests for information. Ignoring them could mean being found in contempt of court. That would leave it open to penalties designed to compel it to comply, including asset seizures, in other countries where it operates. The firm could, of course, slam the door shut by closing its American business. But it is contractually obliged to provide services for thousands of companies there, and cannot disentangle itself from them overnight. Still, those looking to take advantage of the trail Elliott has blazed shouldn’t hang around. First, the good news and taking a moment to celebrate the recent unstoppable rally in both gold and silver where, as has been expected, silver is outperforming gold. While we have stayed clear of paper futures from the long side, over the past few years, almost each and every week we have continued our mantra of buying and accumulating the physical metal. It is beginning to pay off, especially for purchases made throughout last year and this one. This is not yet a victory lap, for the market remains in its transitioning phase, but the faithful, for what has always been considered the only true form of money: gold and silver, can relax more and shed the deer-in-the-headlights look after seeing both pummeled to the downside so relentlessly over the past several years by the money changers. In the battle being waged between Truth [physical gold and silver] and Lies [all paper contracts], the indestructible PMs will always prevail, and the time is nearing. On Thursday, at the peak of the rally, and during yet another Draghi lie called a press conference, "someone" dumped over $2 billion in paper gold onto the market. That is 16,000 paper contracts, with emphasis on paper contracts for it sure was not physical gold that was being dumped. For silver, around 7,500 contracts were sold at the same time. How much more blatant can the central bankers be? How much more will be the effect of such stupidity? Holders of the physical know very well what is being "sold" is useless paper, not the real metal, and as with QE-t0-infinity, bankers have pretty much run out of "fixes." These are definite signs of the end game for PMs suppression. While the Less Is More philosophy works well in the real world, more dumping of central bank paper is having less effect on the real market. Where the drinking of kool aid by the Jones cult led to the death of all 900 followers in Jonestown in 1978, those who currently continue to follow and "swallow" the globalist's paper kool aid currency will also die a financial death, of sorts. The relative few who have always held to the Truth of intrinsic value in physical gold and silver will not only survive the slings and arrows aimed at them, over the years, but will actually prosper when prices rise to reflect the reality of the lies lived by central bankers and their ilk regarding gold. Silver has been considered money for much longer than gold. Now the bad news. The worse it gets, the better it is for silver and gold prices. The elites have created an untenable financial crises on a global scale. To be sure, the directed chaos has always been with but one objective in mind, the global New World Order, even more unstoppable than the recent PMs rally. The Rothschilds, the Rockerfellers, the Bilderbergers and all of their minions so dutifully meeting every year, the duplicitous likes of the Kissingers and Soros', and the sycophant leaders of the Western world countries have all done everything possible to rid the globe of freedom in favor of the yolk of servitude to those that yield power. This will not end well for the people, and we have seen exactly how for those in Greece, the Middle East and elsewhere as financial stability has been replaced with IMF-directed instability. The US has wrought more war and destruction everywhere it goes as it strip-mines other country's natural resources, especially oil, harvesting drugs as the world's largest narcotic dealer, demanding compliance in support of its fiat currency at the barrel of so many guns and used so readily to ensure compliance. Unfortunately, this sad state of affairs has not yet ended, and if Neocon Hillary Clinton is elected president of the corporate federal government, expect the worst of times to follow. The lap-dog European Union, led by fools like Draghi, a product of the Goldman Sachs Business School of Financial Thieves, where the EU has evolved in its tapeworm fashion to consume the previously sovereign individual European nations under a single umbrella, the EU has been a massive failure, especially for everyday people, enabled by each country's leaders-turned-traitors to their own constituents, all in service to the globalists. Well, for those who have held steadfast against the tide of the globalist power grab, the holders of physical gold and silver can extend a golden middle finger on one hand, and a silver middle finger on the other, and say in their best MC Hammer-esque way, "You can't touch this!" True money, gold and silver, equates to financial independence from the tyranny of the elites. Roosevelt's calling in of all gold held by citizens in the US was expressly for that purpose: the removal of the ability to remain independent of the federal government. We start with silver this week because it has acted stronger relative to gold, as we have been anticipating, as silver tends to lead gold in up markets. It cannot be said that both PMs are definitively in up trends, but they are pointing in that direction. The mid-range close for last week suggests sellers regained control from buyers, at least for now, otherwise, the close would have been higher. By deduction, one would reasonably expect to see some kind of corrective activity, in response. The important 16+ level has been surpassed and has held. Chart comments explain why there can be more reactive retesting, but if it unfolds in a weak manner and holds 16+ or higher, it will be additional feedback that higher prices are on the immediate horizon. The mini-climatic action from last Thursday's dumping of 7,500 paper contracts is laughable, both for its blatant attempt at manipulation to stop the rally, and also for the lack of downside follow-through evident from prior massive selling to suppress price. The ability to withstand such a central banker onslaught speaks to changes that are becoming more apparent in developing market activity. Worth mentioning is the gold:silver ratio. A few weeks back it hit 82+:1. Last week, it touched 71+:1, intra day. We expect to see that ratio favoring silver more and more, looking for it to reach under 40:1, possibly under 30:1. A few weeks ago, we mentioned switching out of some gold for silver as a gold/silver ratio play, exchanging at a net ratio of 75:1. The weak correction since the 1280+ high, staying well above a half-way retracement, augurs well for gold. Some retesting of the low of the developed TR is expected, even possibly going under 1200, briefly. What any kind of correction will do is provide some valuable feedback regarding the health of a transitioning trend to the upside. Last week's close near the bottom of the weekly range could lead to further weakness, and for that, we look to the daily chart for more detail. While the swing high has the potential to be a mini-climatic temporary top, one has to be impressed with how gold has maintained the gains from the November/December 2015 lows. Such development is more typical of a strong up trending market and not one that is just beginning to transition out of a protracted down trend. We have to wonder if this reflects the fact that the Shanghai Gold Exchange will now be reporting the price for gold, and the LMBA has lost its "fixed" monopoly. The Chinese are in a position to have a much greater influence in pricing for gold and silver, so it gets "interestinger" and "interestinger." Good news, bad news, both are favorable for gold and silver. About time.